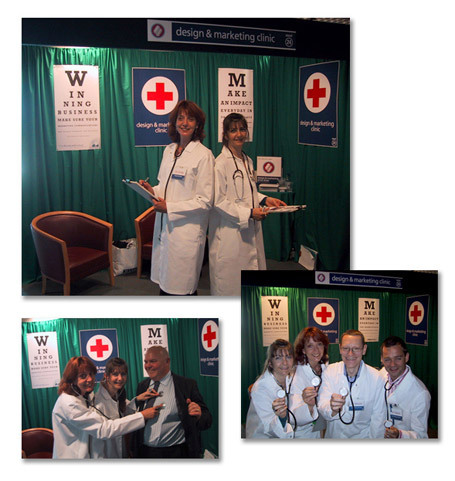 We created a medical themed clinic for our stand, with white coats, doctor's badges, stethoscopes and diagnostic notepads. Inviting potential visitors to come for a design and marketing health-check, we used sight testing style graphics and red crosses for the banner displays on our stand set against green fabric, flyers selling marketing and design capsules completed the headache solving concept. With increased traffic and a lot of fun and laughs with our potential customers, we generated much interest and enquiries after the event.